I’m having trouble accepting that my grilling season is almost over. Yes, I realize that the weather in Atlanta will permit grilling pretty much year-round, but I’m also realistic about how well my electric grill will heat up if it’s 40 degrees outside. 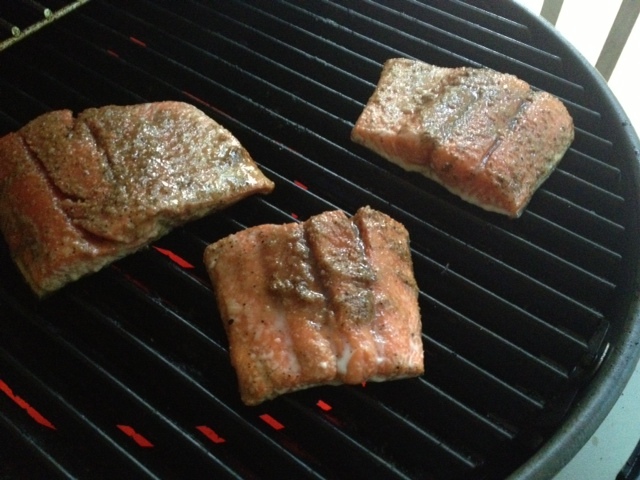 So I’m trying to squeeze all the grilling in that I can, and I’m on a super salmon kick. 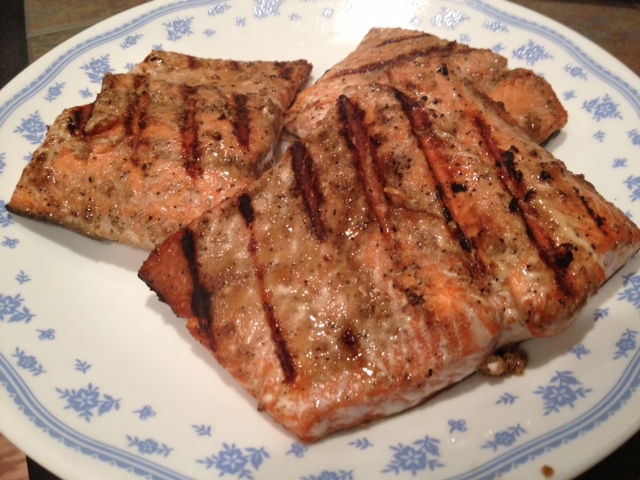 I was so excited when my first salmon grilling (Maple Citrus Grilled Salmon) went so well, that I felt brave trying it again. This one was just as easy, but more of a savory (I always want to spell it savoury, like the Brits) spin. Besides the salmon, the marinade takes ingredients you probably have on-hand (except maybe the sesame oil, but I highly recommend keeping that stocked—it’s awesome). 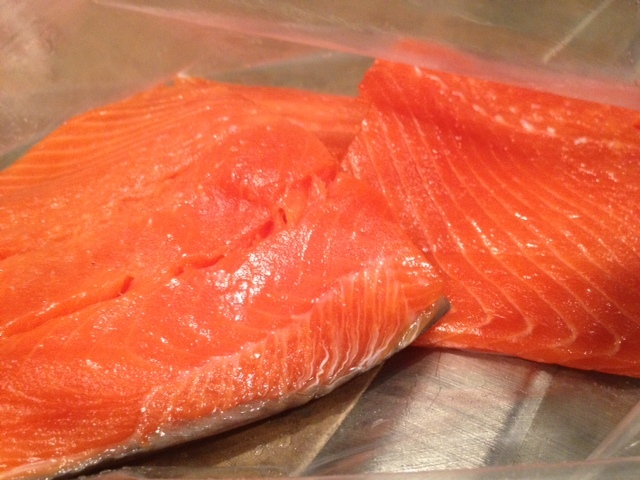 Place the salmon fillets in a large ziploc or tupperware container that seals well. Pour in the marinade, seal, and put in the refrigerator for a few hours. If you’re desperate for dinner, it can be less than that. 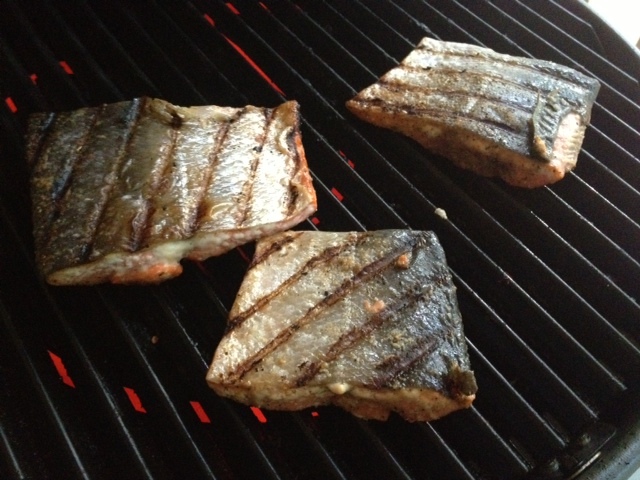 When you’re ready to cook them, heat your grill to medium or medium-high (4 out of 5 on my grill). Cook for 3-4 minutes on each side. Serve while they’re hot and fresh! These were so flavorful and the salmon just melted in your mouth! 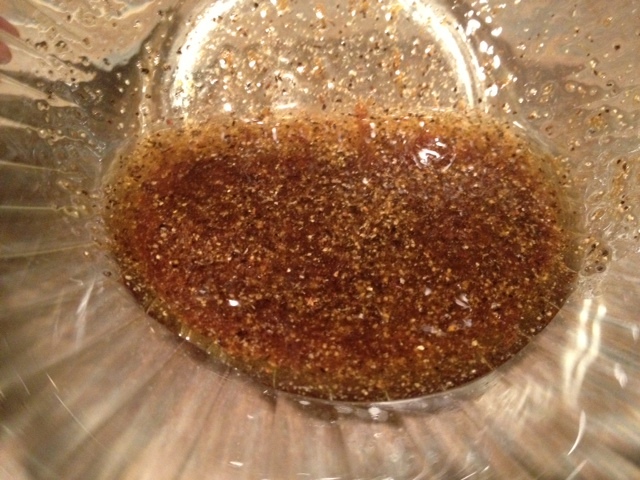 Whisk together the soy sauce, sesame oil, garlic powder and onion powder in a bowl. 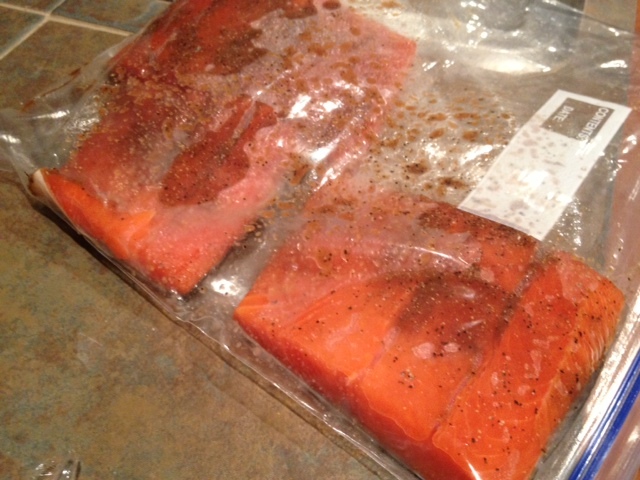 Place the salmon in a large ziploc bag or tupperware container. 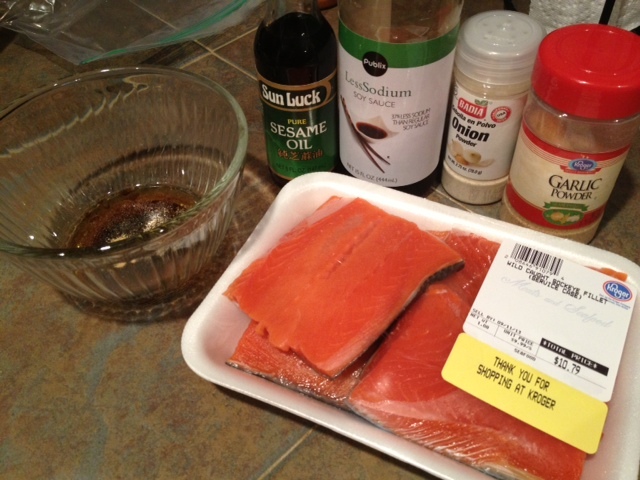 Pour the marinade over the salmon, seal, and let marinate for a couple hours (can be less if necessary). Heat grill to medium or medium-high (around 4 out of 5 on my grill). Cook salmon for 3-4 minutes per side. Yeah, I never get farm-raised salmon. Sometimes with a frozen tilapia or something I will (though I almost never buy white fish) but with only buying for one or two people it’s totally worth it to spring for wild. Tastes way better too.